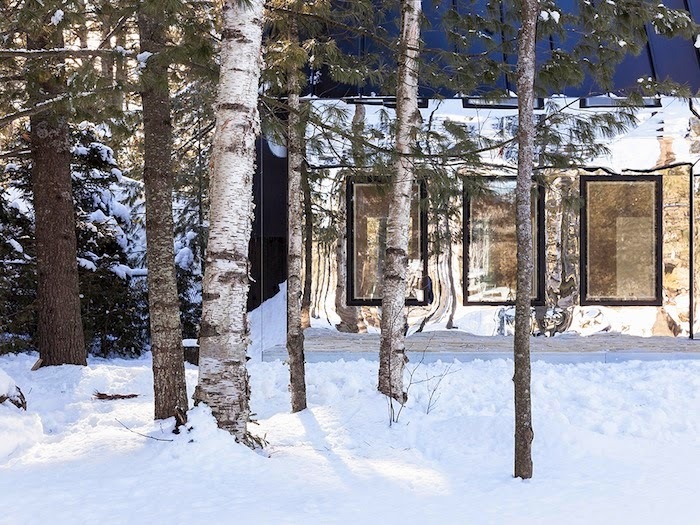 In a forest along the Kawartha Lakes, in Southern Canada, Lake cottage is a reinterpretation of living in a tree house. 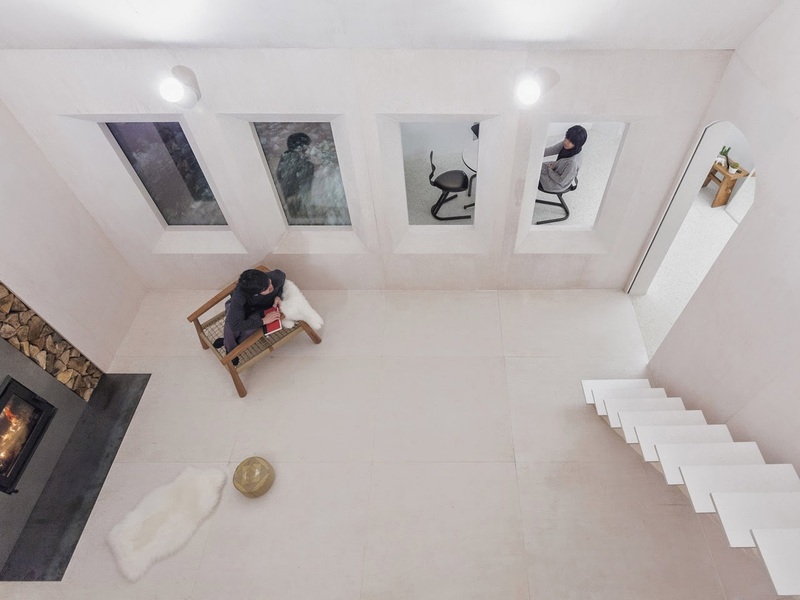 Designed by UUfie architects, the minimalist building is conceived as a two storey, multi-uses space, where nature can be an integral part of the building. 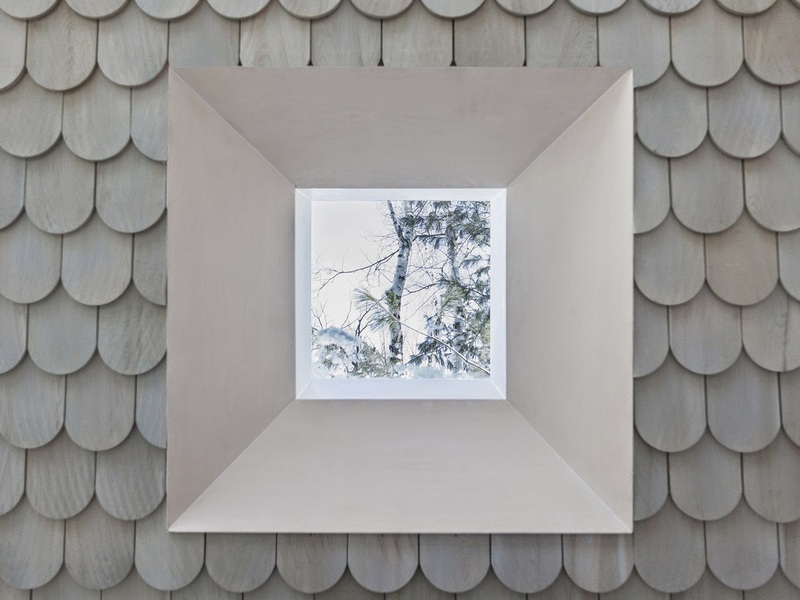 Lake Cottage is a reinterpretation of living in a tree house where nature is an integral part of the building. 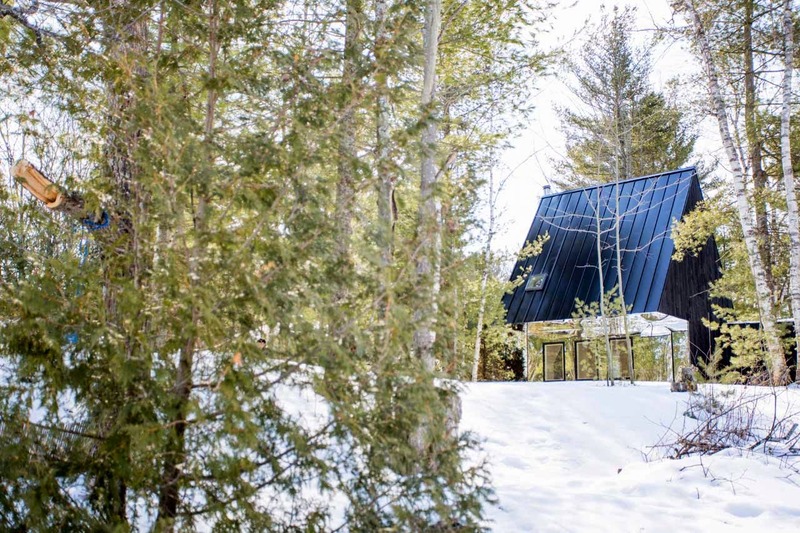 In a forest of birch and spruce trees along the Kawartha Lakes, the cottage is designed as a two storey, multi-uses space for a large family. 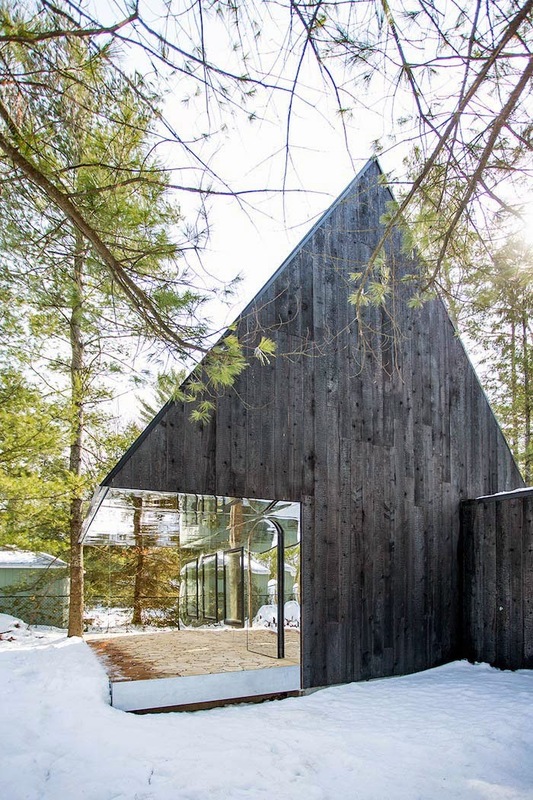 The structure composed of a 7m high A-frame pitch roof covered in black steel and charred cedar siding. 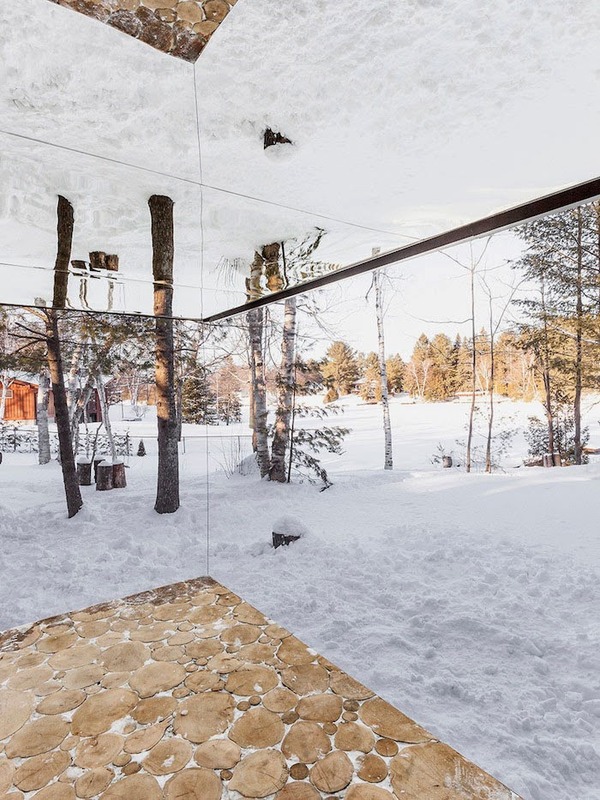 A deep cut in the building volume creates a cantilever overhang for a protected outdoor terrace with mirrors to further give the illusion of the building containing the forest inside. 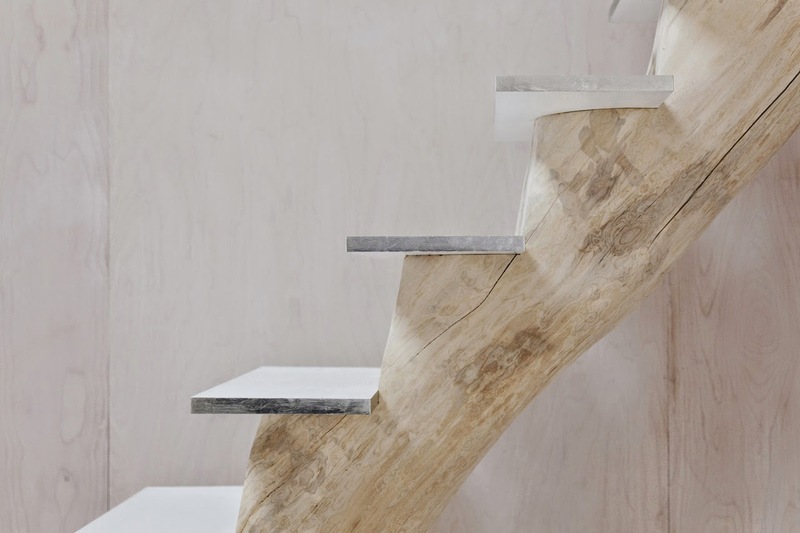 This mixture of feeling between nature and building continue into the interior. 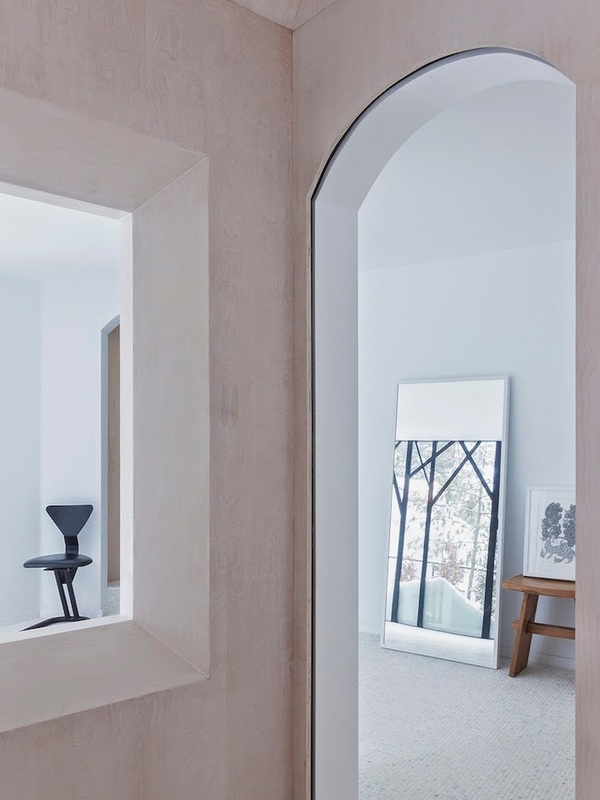 The main living space is design as a self-contained interior volume, while the peripheral rooms are treated as part of the building site. 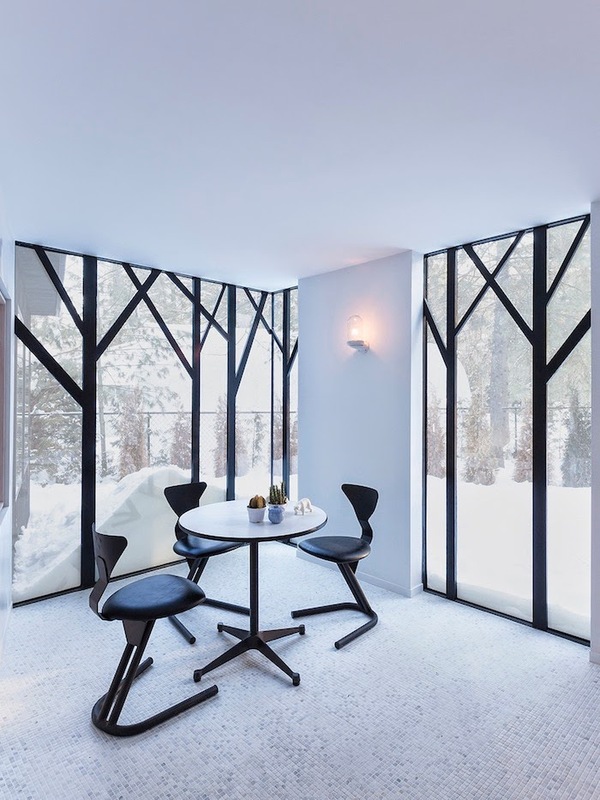 Fourteen openings into this grand living space reveal both inhabited spaces, skies and trees, equally treated and further articulated with edges finishes of interior panel kept raw to show the inherit nature of materials used. 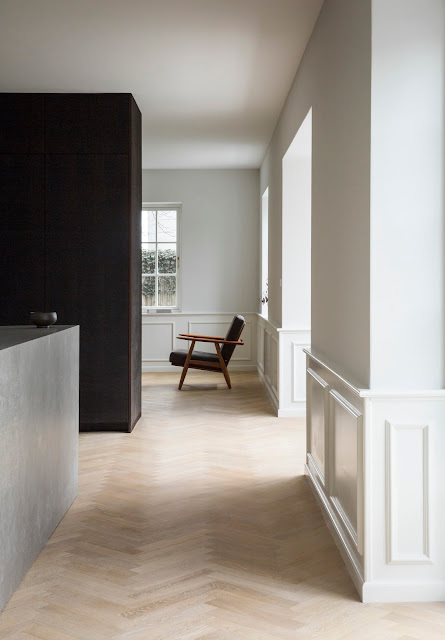 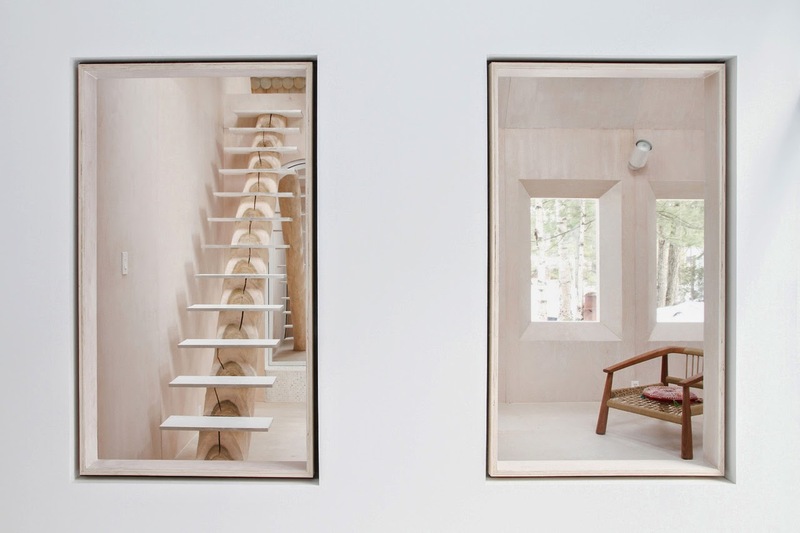 This abstract nature of the interior spaces allows imagination to flow, and those spaces that could be identified as a domestic interior can suddenly become play spaces. 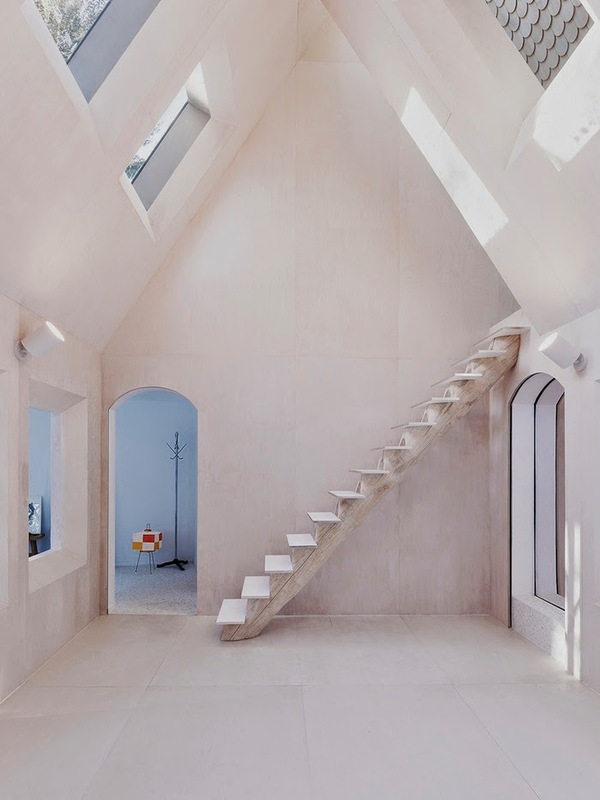 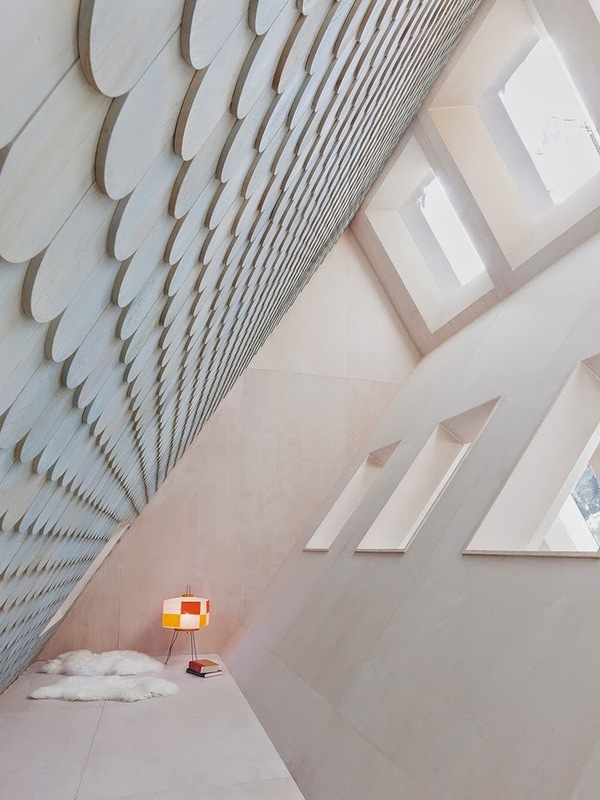 A solid timber staircase leads to a loft which has the feeling of ascending into tree canopies as sunlight softy falls on wall covered in fish-scaled shingle stained in light blue. 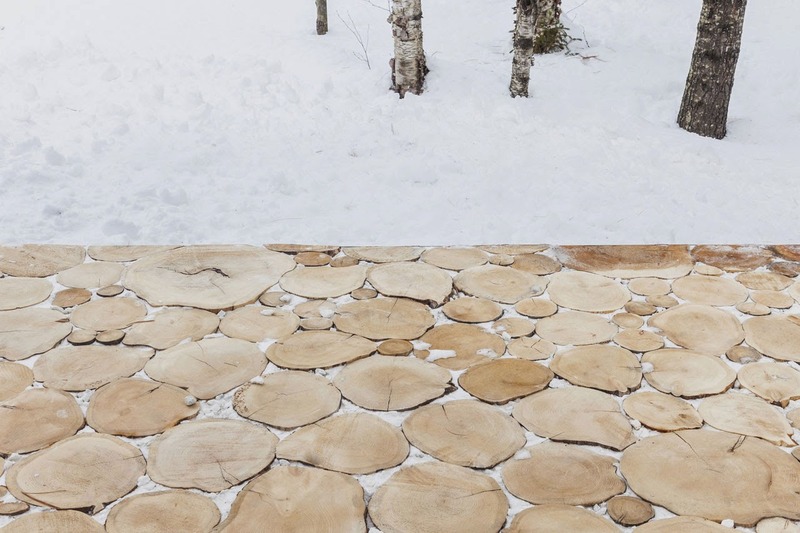 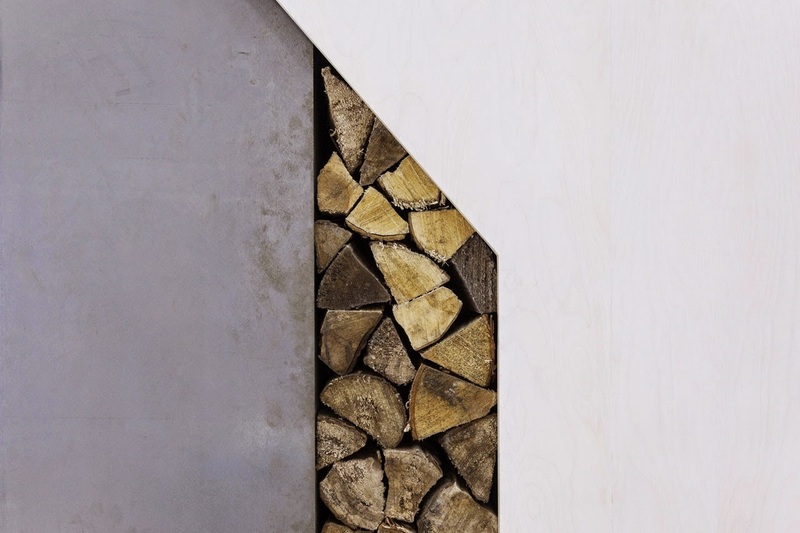 Using local materials and traditional construction methods, the cottage incorporated sustainable principles. 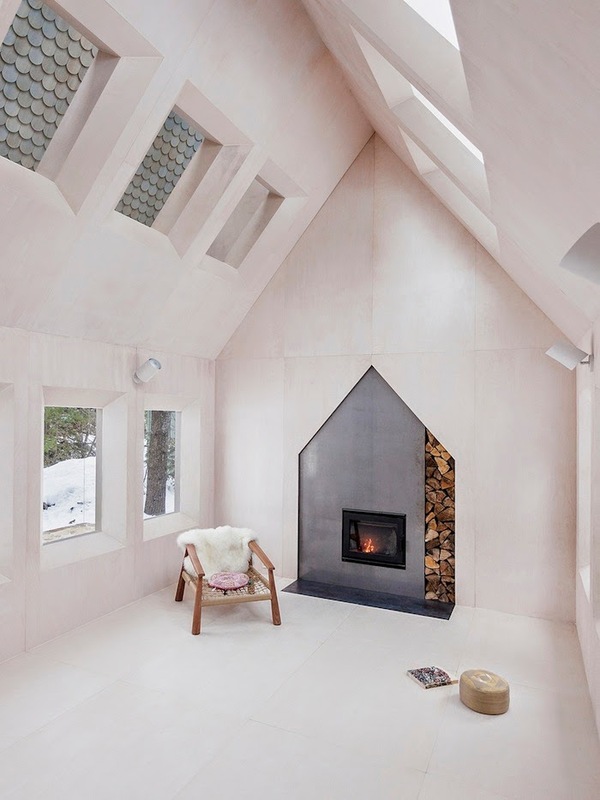 The black wood cladding of exterior is a technique of charring cedar that acts as a natural agent against termite and fire. 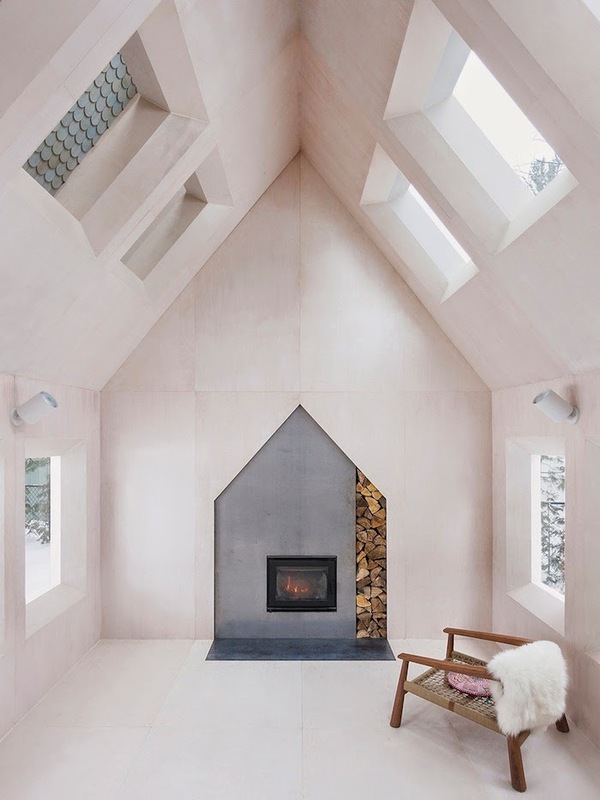 Thick walls and roof provide high insulation value, a central wood hearth provides heat and deep recessed windows and skylights provide natural ventilation and lighting. 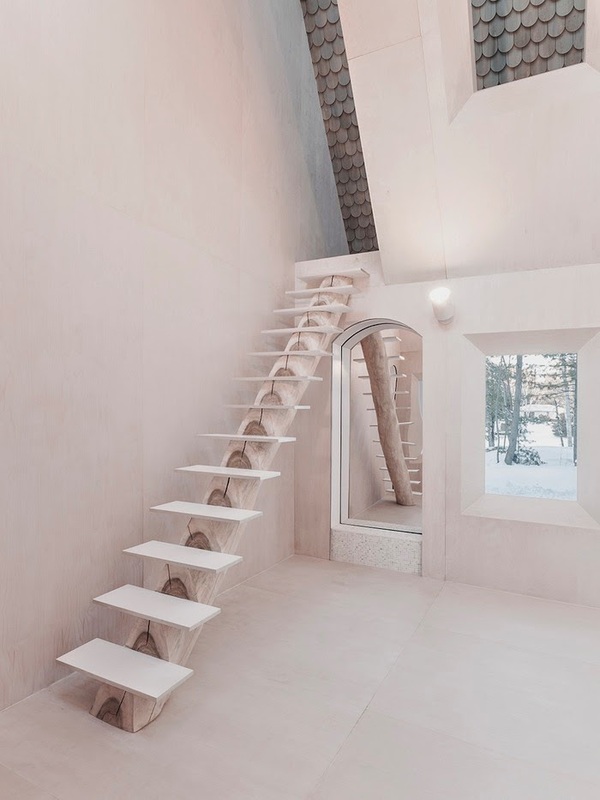 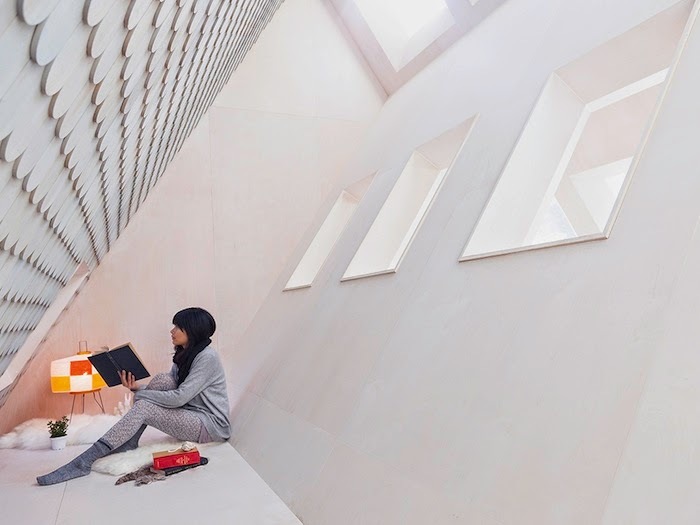 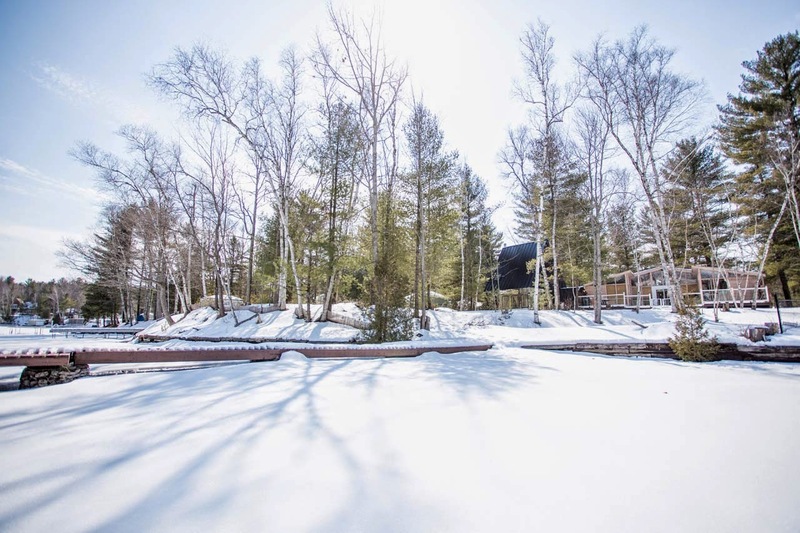 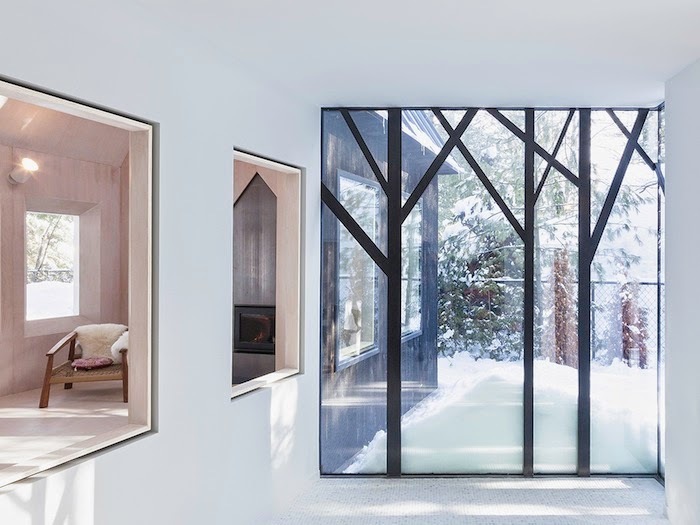 Lake Cottage is designed with interior and exterior spaces connected fluidly and repeat the experience of living within the branches of a tree.